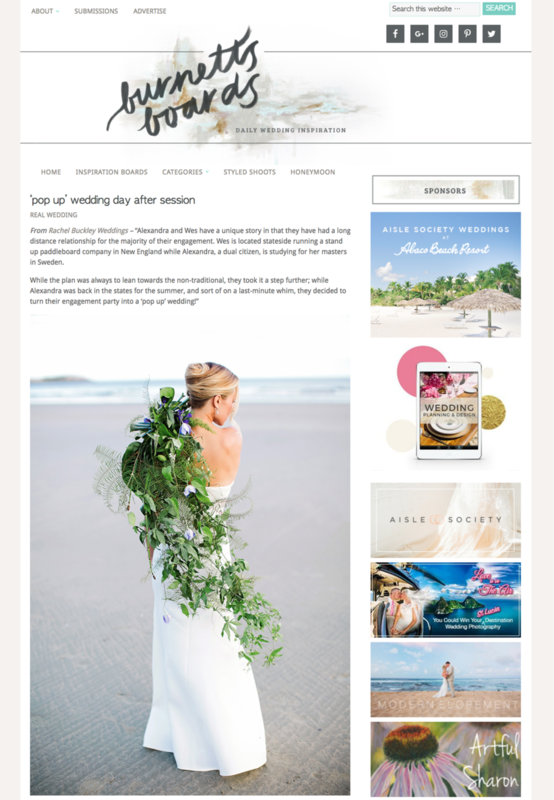 Brides Magazine featured one of my weddings! 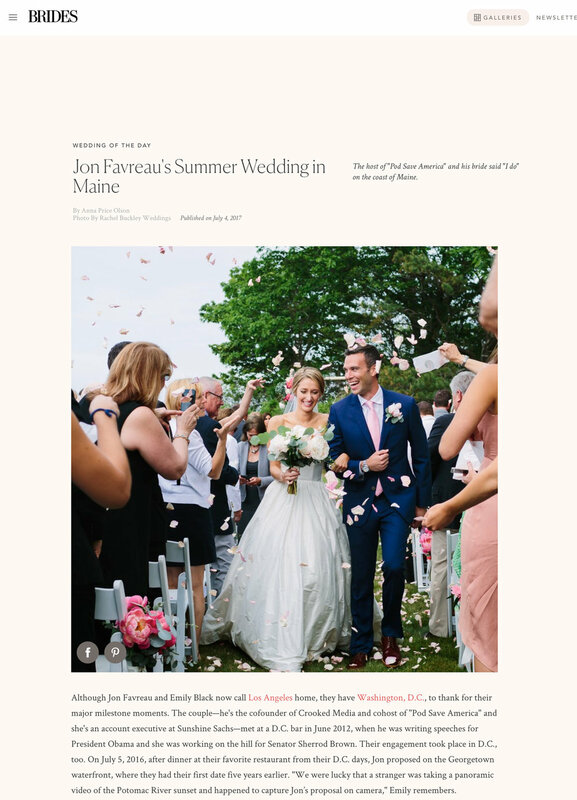 And not just any wedding, the Favreau wedding! I can't express enough my gratitude to Emily and Jon for trusting me with their memories. The day was beyond words! As Jon is President Barack Obama's former speechwriter and the co-host of Pod Save America (before you ask, YES! Yes I am a friend of the pod) I find it apropos to see this featured on July 4th. Also check out the video from Ready, Set, Film. Brilliant as usual and it is always such a pleasure working with Jeff. Huge thank you to Burnett's Boards for featuring our day after session yesterday! In case you missed it click the image below to read about Alexandra and Wes's unique wedding day and what we had planned for them afterwards. Thank you also to an awesome team who pulled this all together on short notice. You women are amazing! Muah!